Awareness Workshop on Hazards of Electronic Waste under Digital India Initiative supported by Ministry of Information and Technology, NASSCOM Foundation, MAIT and CEAMA was organized by DISHA on 20th May, 2017 at B P Poddar Institute of Management & Technology. 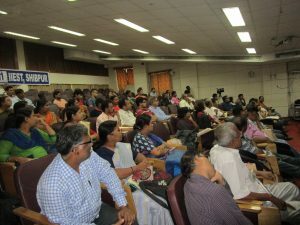 The programme was attended by bulk consumers, RWA members, faculty members, technicians, laboratory assistants, administrators, office staff and some students. Interactive session conducted by the participants themselves to understand the problem of E-waste, its hazards and possible solution made the programme very successful. 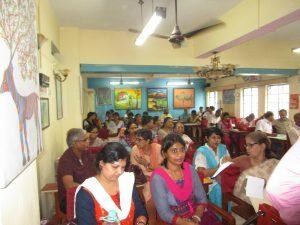 More than 70 participants enthusiastically attended the programme. State level workshop on Hazards of Electronic Waste under Digital India Initiative supported by Ministry of Information and Technology, West Bengal Pollution Control Board, NASSCOM Foundation, MAIT and CEAMA was organized by DISHA on 7th June, 2017 at Hotel The Stadel in Salt Lake. The workshop was anchored by Santanu Chacraverti, President, DISHA. At the beginning he mentioned the perspective of the workshop. Welcome address was delivered by Sandipan Sarangi, NASSCOM. 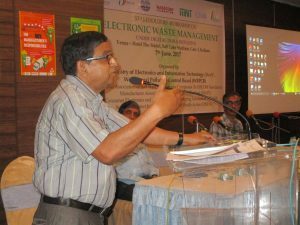 He narrated the national scenario regarding effort of the central government to develop awareness about the E-Waste Management Rules 2016 and introduced the associated organization involved in national level with this effort. The workshop was inaugurated by Dr. Kalyan Rudra, Chairperson, West Bengal Pollution Control Board. He emphasized on implementation of the Rules and requested the representatives of the bulk consumers to become hazards of informal processing and ensure safe recycling. 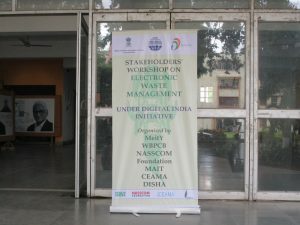 An important workshop on Hazards of Electronic Waste under Digital India Initiative supported by Ministry of Information and Technology, West Bengal Pollution Control Board, NASSCOM Foundation, MAIT and CEAMA was organized by DISHA on 19th July, 2017 at Alumni Hall, IIEST, BE College, Shibpur. Noted peoples’ science organization Howrah Vigyan Chetna Samannaya and Department of Humanities and Social Science, IIEST, B E College collaborated with the effort to make the workshop successful. Around 85 stakeholders including citizens, teachers, students, faculty members, bulk consumers attended the meeting. Awareness Workshop for the teaching and non-teaching staff of Kendriya Vidyalaya, Ballygunj (Army School) along with bulk consumers from army administrative offices and residents of the quarters in the campus was organized by DISHA on Hazards of Electronic Waste under Digital India Initiative supported by Ministry of Information and Technology, NASSCOM Foundation, MAIT and CEAMA on 31 July, 2017 at 12.30 PM. Total 36 teachers and non-teaching staff, 16 office staff, 14 residents of quarters took part in the programme. First activity in Kolkata on Awareness Programme on Hazards of Electronic Waste under Digital India Initiative supported by Ministry of Information and Technology, NASSCOM Foundation, MAIT and CEAMA was organized by DISHA on 18 May, 2017 at Muraripukur Govt. Sponsored Higher Secondary School in North Kolkata. Around 70 boys and girls took part in the programme. Students were selected only from Class XII (Class XI is not open now) so that the matured students, who are capable of understanding the issue, take part and may get involved in interactions on E-Waste. 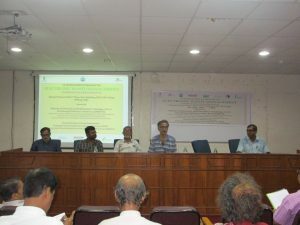 Awareness Programme on Hazards of Electronic Waste under Digital India Initiative supported by Ministry of Information and Technology, NASSCOM Foundation, MAIT and CEAMA was organized by DISHA on 10th June, 2017 at Post Graduate Computer Science Department of Rabindra Bharati University in North Kolkata. 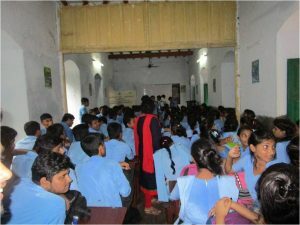 Around 50 students took part in the programme. All the students belong to post graduation course and were matured and capable of understanding the issue. They took part and got involved in interactions on E-Waste. Awareness Programme on Hazards of Electronic Waste under Digital India Initiative supported by Ministry of Information and Technology, NASSCOM Foundation, MAIT and CEAMA was organized by DISHA on 4th July, 2017 at Scottish Church Collegiate School in North Kolkata. 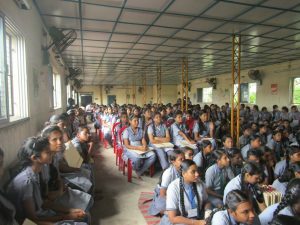 88 students took part in the programme. All the students belong to post graduation course and were matured and capable of understanding the issue. They took part and got involved in interactions on E-Waste. Awareness Programme on Hazards of Electronic Waste under Digital India Initiative supported by Ministry of Information and Technology, NASSCOM Foundation, MAIT and CEAMA was organized by DISHA on 6th July, 2017 at Christopher Road Govt. Sponsored HS School for Girls in Central Kolkata. 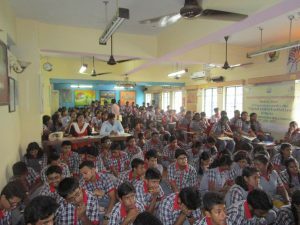 272 students took part in the programme. All the students belong to Class XI and XII. They were matured and capable of understanding the issue. They took part and got involved in interactions on E-Waste. 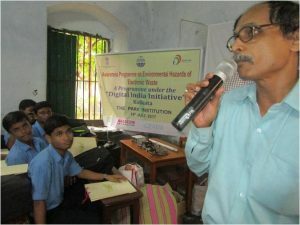 Awareness Programme on Hazards of Electronic Waste under Digital India Initiative supported by Ministry of Information and Technology, NASSCOM Foundation, MAIT and CEAMA was organized by DISHA on 7th July, 2017 at Indumati Sava Griha adjacent to Jadavpur University in the campus of Jadavpur University in the campus of Jadavpur Vidyapith. 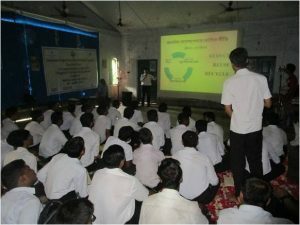 168 students took part in the programme. All the students belong to Class XI and XII. They were matured and capable of understanding the issue. They took part and got involved in interactions on E-Waste. Awareness Programme on Hazards of Electronic Waste under Digital India Initiative supported by Ministry of Information and Technology, NASSCOM Foundation, MAIT and CEAMA was organized by DISHA on 14th July, 2017 at The Park Institution in North Kolkata. Around 118 boys and girls took part in the programme. Students were selected from Class XI and Class XII, who are capable of understanding the issue, take part and may get involved in interactions on E-Waste. Awareness Programme on Hazards of Electronic Waste under Digital India Initiative supported by Ministry of Information and Technology, NASSCOM Foundation, MAIT and CEAMA was organized by DISHA on 17th July, 2017 at Labanhrad Vidyapith. Total 176 boys and girls in 2 sessions took part in the programme. Students were selected mostly from Class XI and XII so that the matured students, who are capable of understanding the issue, take part and may get involved in interactions on E-Waste. A public campaign on Hazards of Electronic Waste under Digital India Initiative supported by Ministry of Information and Technology, NASSCOM Foundation, MAIT and CEAMA was conducted by DISHA at two important public spots in Kolkata on 27.7.17. In the morning at around 9 AM, the campaign started in Bidhannagar Railway Station to address the office goers. It continued till 2 PM. Display of banners, sound system and colorful leaflets were used for the public campaign. Large number of commuters, especially the daily passengers moves through this station. Generally they are habituated with advertisements of some commodities or political propaganda at such place. But this was a new issue. 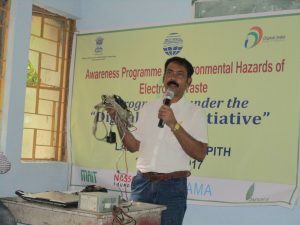 Many people took interest to know what is E-Waste and what are the hazards. Apart from campaign speeches and distribution of large number of leaflets, face to face interactions were held. Public campaign on Hazards of Electronic Waste under Digital India Initiative supported by Ministry of Information and Technology, NASSCOM Foundation, MAIT and CEAMA was conducted by DISHA at several housing association of Bidhannagar Municipality on 28.7.17. In the morning at around 9 AM, the campaign started in the gate of SAMADRITA – a housing association. After campaign for two hours the campaign moved to another housing complex MARSHELIN. In such manner some other housing complexes like AVISHIKTA, MEGHNATH SAHA ABASAN were covered during the day. Housing associations were contacted but all of them did not take interest. However common people were very much interested. From older people to younger generation asked many questions to understand the issue. These interactions helped the issue to be spread in public. Around 1500 leaflet were distributed on that day. 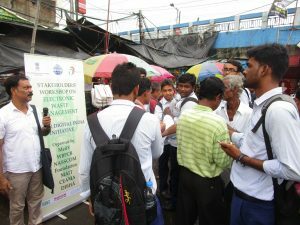 Public campaign on Hazards of Electronic Waste under Digital India Initiative supported by Ministry of Information and Technology, NASSCOM Foundation, MAIT and CEAMA was conducted by DISHA at one of the most important public spots in Kolkata on 29.7.17. In the morning at around 9 AM, the campaign started in the compound of Sealdaha Station to address all the commuters. This station is famous because this is the busiest station in India where largest number of passengers move through local and long distance trains every day. The campaign continued till 3 PM. Display of banners, sound system and colorful leaflets were used for the public campaign. Here also people are habituated with advertisements of some commodities or political propaganda at such place. But this was a new issue. Many people took interest to know what is E-Waste and what are the hazards. Apart from campaign speeches and distribution of large number of leaflets, face to face interactions were held. The programme covered more than 4000 citizens. 4000 leaflets were distributed on that day. Awareness Programme on Hazards of Electronic Waste under Digital India Initiative supported by Ministry of Information and Technology, NASSCOM Foundation, MAIT and CEAMA was organized by DISHA on 31 July, 2017 at Kendriya Vidyalaya, Ballygunj (Army School) for students. Total 162 students took part in the programme. Students were selected mostly from Class XI and XII so that the matured students, who are capable of understanding the issue, take part and may get involved in interactions on E-Waste. A public campaign on Hazards of Electronic Waste under Digital India Initiative supported by Ministry of Information and Technology, NASSCOM Foundation, MAIT and CEAMA was conducted by DISHA at several important public spots in Kolkata on 7.8.17. IEC materials were displayed, awareness generation was done through public address system and leaflets were distributed in large number. In the morning at around 9 AM, the campaign started in E-Mall, a reputed E market in Esplanade area of Kolkata. Large number of people intending to buy or exchange electronic equipments converge in the area. They are all consumer of E-equipments and some are bulk consumers. The campaign was shifted to Bank of India crossing in Bowbazar area after lunch. There many people returning from offices took interest. Last programme was held just under the Sealdaha flyover. There also large number of consumers was addressed. Awareness Programme on Hazards of Electronic Waste under Digital India Initiative supported by Ministry of Information and Technology, NASSCOM Foundation, MAIT and CEAMA was organized by DISHA on 8 August, 2017 at Maniktala Government High School. Total 55 students took part in the programme. Students were selected mostly from Class XI and XII so that the matured students, who are capable of understanding the issue, take part and may get involved in interactions on E-Waste. Awareness Programme on Hazards of Electronic Waste under Digital India Initiative supported by Ministry of Information and Technology, NASSCOM Foundation, MAIT and CEAMA was organized by DISHA on 8 August, 2017 at Khudiram Bose Central College in Hedua, North Kolkata. Total 70 students took part in the programme. Students were selected mostly from Geography department so that the matured students. A few came from other department.